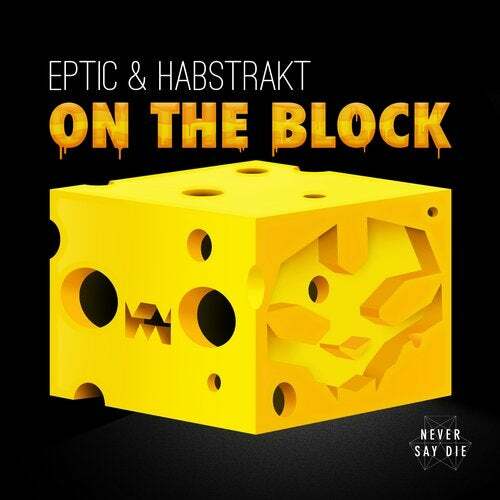 Securing a release through Never Say Die on July 29th is a brand new track collaboration between Eptic and Habstrakt. The talented pair - both renowned for their innovative approach to production, have conjured a funky bass stomper with 'On The Block'. Eptic says, "I'm so happy with the way this track turned out. Me and Adam have been wanting to do another project for ages and it has finally happened. Instead of going down the classic dubstep approach we decided to get our French on and make something you can cheese out in any type of set." Habstrakt added, "The track has the purrfect cheese / love ratio for me. We couldn't be happier that our first collab in years was ready in time for our b2b set at EDC Las Vegas. I like to see it as a good balance between my Frenchman house and Michael's deep friendly Belgian basslines." 'On The Block' grooves into action from the offset with an infectious house-style beat, allowing room for deep reverbs and changes of rhythm to become a point of focus. As the pulse resumes, the duo play around with gnarly vocal samples, moments of stillness and stuttering, distorted riffs. Offering a refreshing variant on the duo's dubstep style, the highly stylised skills of each producer couldnt be more evident here... 'On The Block' is a lesson in sound design.